This second volume of the Hispano-Suiza and Pegaso books is now available from the Stinkwheel Publishing shop. This book covers the career of Catalan engineer Wifredo Ricart and his early designs and creations of the 1920s and 1930s in Spain- (Ricart y Peréz 1922-26), S.A. Automóviles Ricart (1926-28) and Ricart España (1928-30). 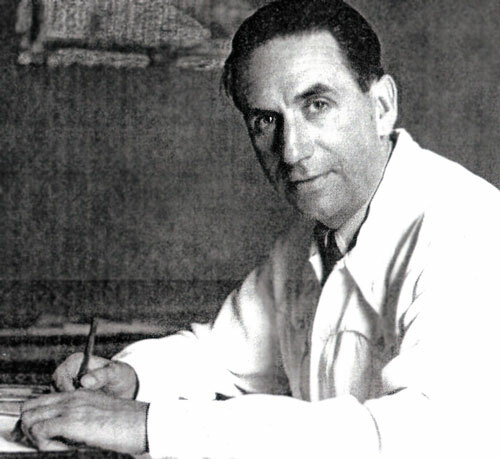 Ricart then moved to Italy and was employed by Alfa Romeo as a consultant engineer from 1936 to 1945, where he was involved in the design and building of the Alfa Romeo Tipo 162 V-16 and the mid-engined flat-12 Tipo 512 racing cars, only for WWII to interrupt developments, so neither car was raced. It was during this period that Ricart clashed with Enzo Ferrari, who was racing-team manager for Alfa Romeo at the time. 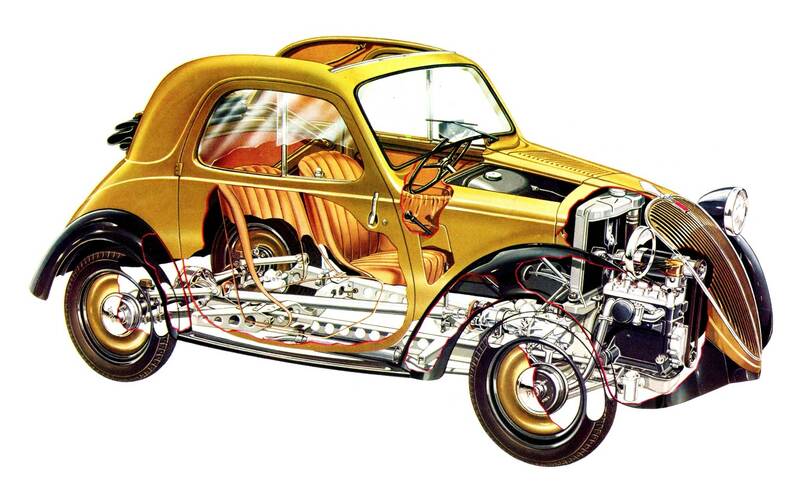 In the early war years Ricart designed and built the extraordinary 28-cylinder 2,000bhp Tipo 1101 Alfa Romeo aero-engine, which had seven banks of four cylinders and was exceptionally light and compact. Ricart, accompanied by a small group of loyal Italian engineers and ex-collegues, left Alfa Romeo and chaotic Italy in 1945 and returned to Barcelona. They were recruited by the government of Generalissimo Franco to create a new truck-building company, Pegaso, to produce desperately-needed trucks and buses for Spain, which they did with great success, designing and developing a number of modern industrial vehicles. Most of this took place in the ex- Hispano-Suiza factory in Barcelona, taken over by the government for this purpose, complete with the highly-skilled and experienced workforce which had previously built Marc Birkigt’s Hispano-Suiza T-35 aero-engines. Part of Ricart’s remit was to educate and train a new generation of Spanish engineers, technicians and mechanics able to deal with advanced technologies being used throughout Europe, but which were sorely lacking in Spain. The astonishingly advanced Pegaso Z-102 sportscars of 1951-1957 were in part the result of this training program- giving hands-on experience to legions of apprentices and enhancing Spain’s prestige as a new motor-manufacturing nation. 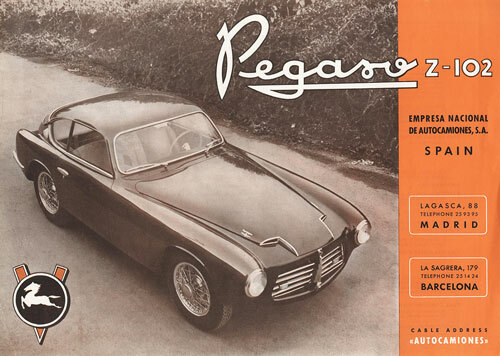 Only 86 Pegaso sportscars were made in total before Ricart was ordered to desist and concentrate on trucks and buses again by a reactionary management under political control. The political, social and economic influences which dictated Spain’s progress through the post-civil war era of 1939-1960 are also studied as they are important backgrounds to the evolution of the Pegaso company. 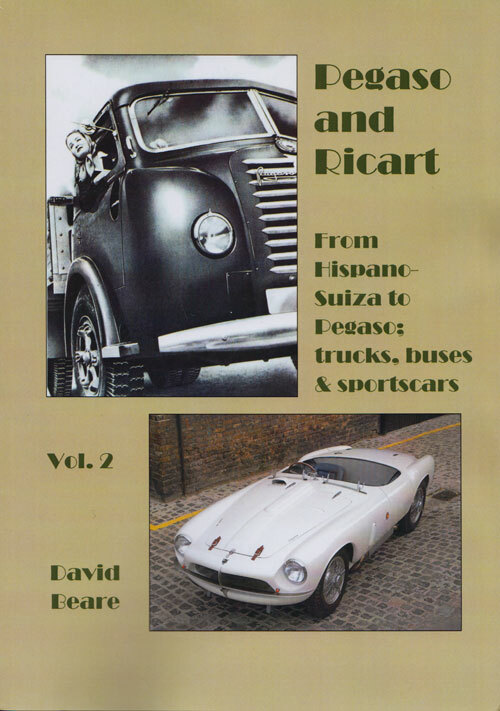 Mainly Spanish sources have been used to give an accurate picture of events leading up to Ricart’s creation of the legendary Pegaso sportscars and their subsequent careers in motorsport or on the Concours d’Elégance circuits. Many Z-102s have survived, despite determined efforts by Pegaso management in the late 1950s to erase them from the company’s history. Pegaso sportscars are now highly-prized worldwide. ISBN 978-0-9547363-5-4. A4 format, soft covers, 117 pages with colour and b/w images throughout, mostly contemporary with the period.